UHV Transmission Technology enables power system employees and the vast majority of those caring for UHV transmission technology to understand and master key technologies of UHV transmission. 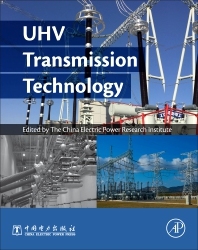 This book can be used as a technical reference and guide for future UHV projects. UHV transmission has many advantages for new power networks due to its capacity, long distance potential, high efficiency and low loss. Development of UHV transmission technology is led by infrastructure development and renewal, as well as smart grid developments, which can use UHV power networks as the transmission backbone for hydropower, coal, nuclear power and large renewable energy bases. UHV is a key enabling technology for optimal allocation of resources across large geographic areas, and has a key role to play in reducing pressure on energy and land resources.